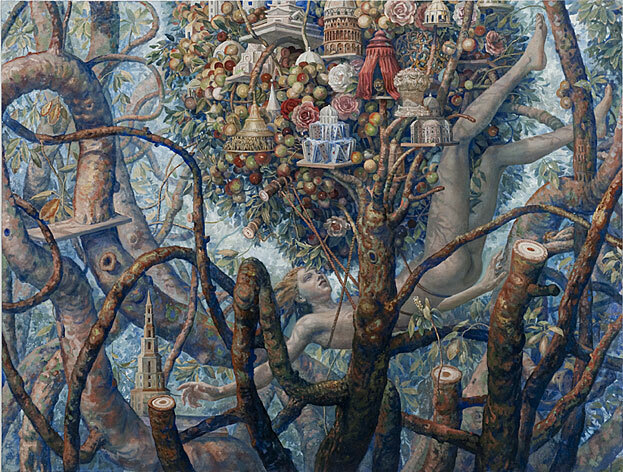 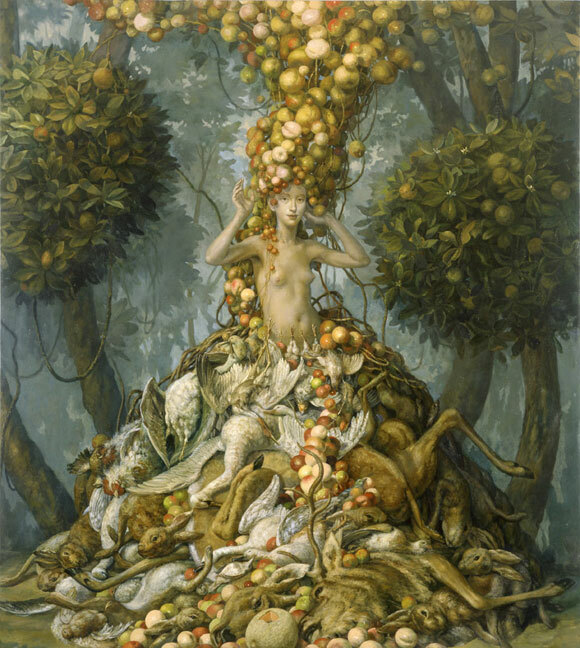 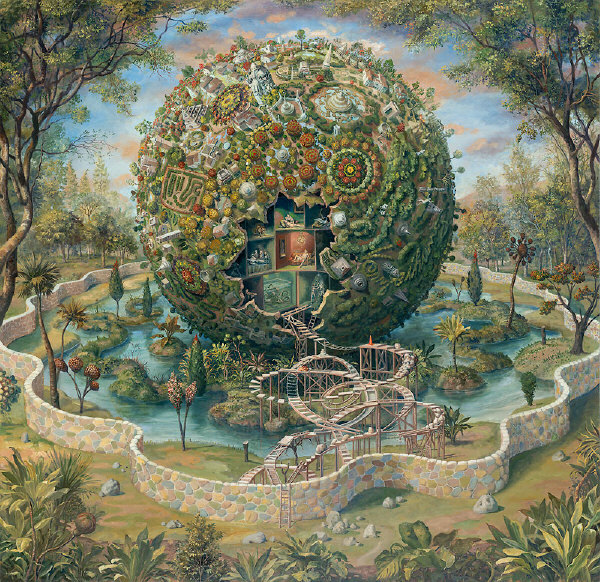 This is brilliant artist Julie Heffernan. 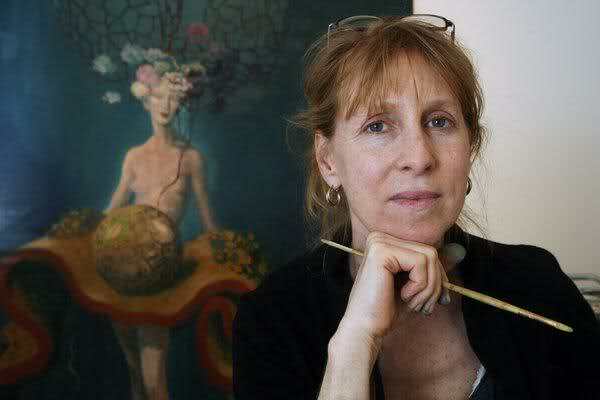 She specializes in breath taking surrealist oil paintings, typically incorporating strong nature elements. 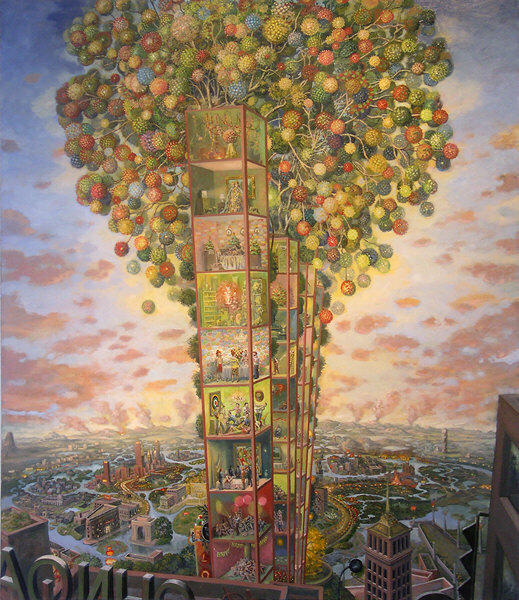 If you look closely, some even have the most impossible subject anyone can include… themselves (she if you can spot the artist’s likeness in the below paintings). 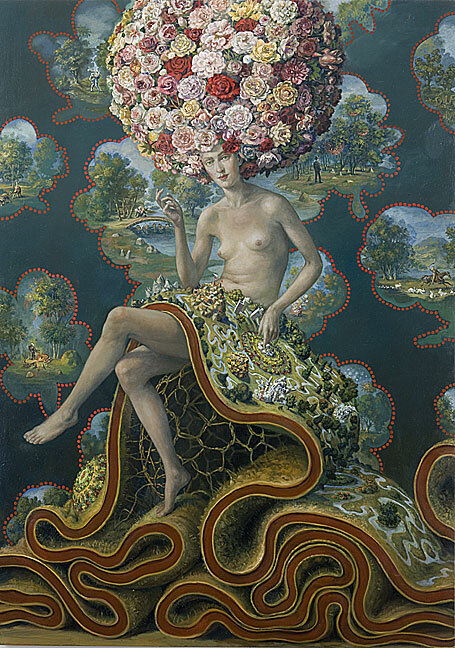 She loves the playful and the whimsical, but presents much of her work in a classic Baroque style. 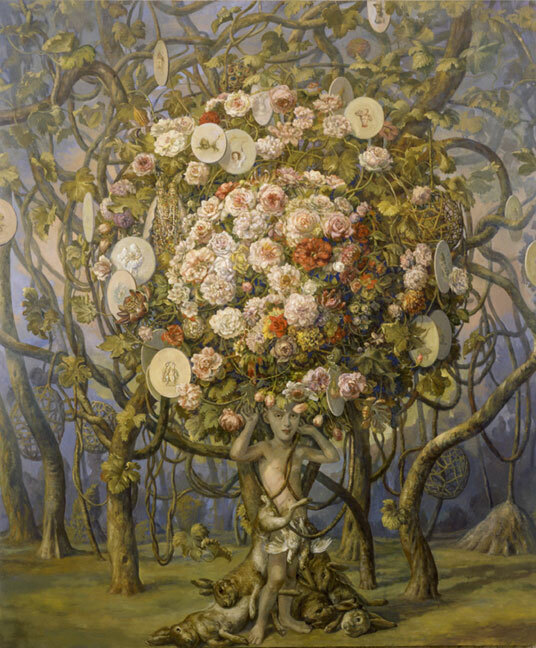 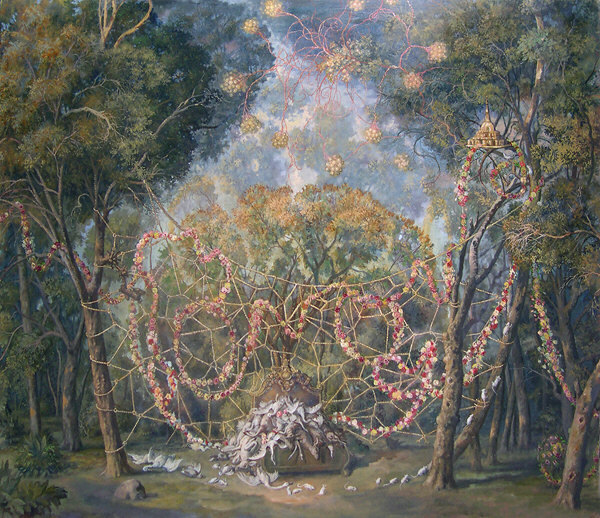 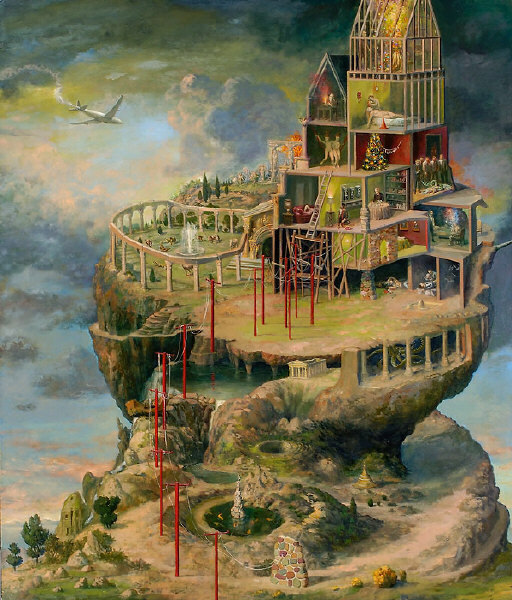 To continue down the path of this fantasy, check out www.julieheffernan.net.